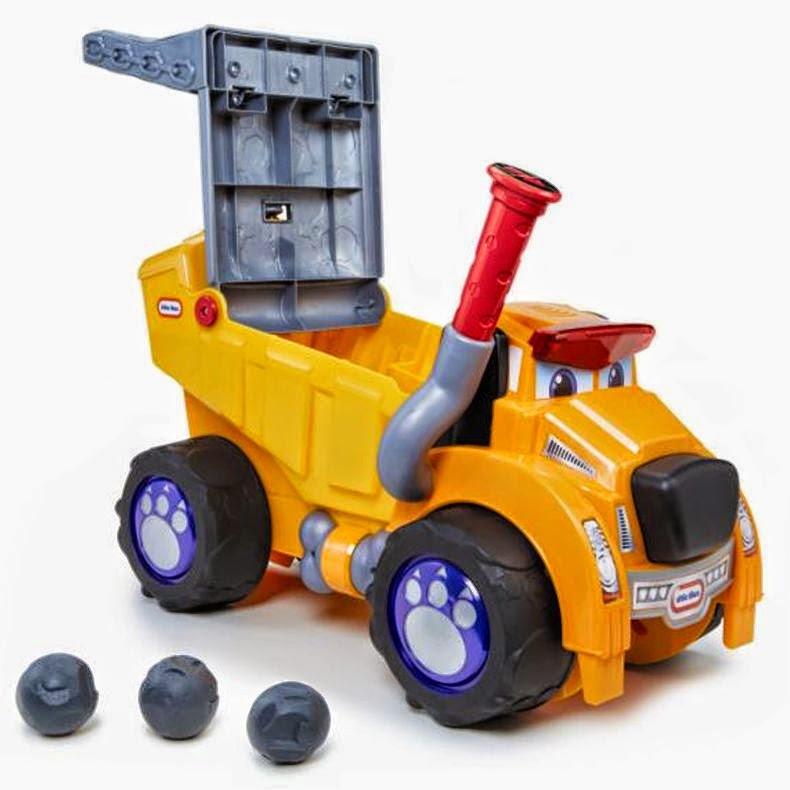 The Big Dog Truck walker, ride-on and dump truck is an all in one toy for toddlers. This fun dog ride-on toy truck builds large and small motor skills. The fun sounds and vibrant colors stimulate the imagination for hours of creative play. Thanks to MGA Entertainment, one of my readers is going to win one! 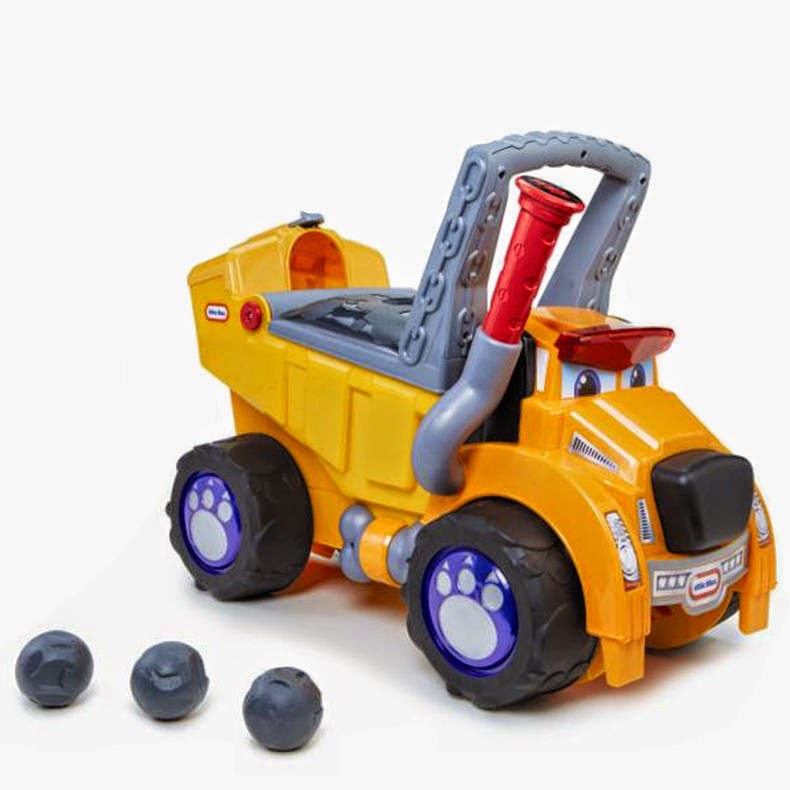 The Big Dog Truck comes with boulders that can be scooped up at the front of the truck when your toddler rides over them, and then dumped out the rear. But don't just take our word for it -- The Big Dog Truck has been awarded Dr. Toy's 2014 Best Picks, Toy Talk Awards' Best Preschool Toy, and ToyTesters TV Gold Award for Best Preschool Toy. Check out some of the features included! There are 3 ways to play! This awesome toy is a walker, a ride-on and a toy dump truck all in one! • Maximum weight limit: 50 lbs. Visit the Little Tikes Website to purchase today! It retails for only $44.99! Win it: One reader is going to win one of these! Winner must live in the Continental USA. Giveaway ends on 1/3/15 at 11:59 PM CST. See sidebar for complete rules. Enter below. Goodluck! I would like to give it to my nephew! He's 2 & very much into trucks and trains!! I would like to win this for my daughter. Its almost her 2nd birthday and she loves trucks! I'd love to win this for my nephew! He loves big trucks! I would love to win because my little one loves trucks and he would love to have this one! Why do I want to win this fun little tikes big dog truck? Because I think my grand daughter would love it! She loves cars and trucks just as much as my son did at her age. Merry Christmas!!!! I would love to win this for my nephew. He would love this. I know my boys would LOVE this! They are so into dump trucks and trucks of any kind! I love Little Tikes toys they always make such great quality stuff. My son would love this he is really into a car and tuck phase right now. Oh I would love to win this for my grandson! I think it would be perfect for his birthday early spring! I would love to win this for my youngest son. He'd have a blast with this. I would love to win this for a special little boy we know. He is my husband's godson and they are so great together. They love to play cars and trucks. It is great to watch. I want to win this for my friend's child. This would be great to give to my nephew! I would love to win this because I just know my Godson would love it!